Since 2009, our mission has been to inspire, engage and inform beginning and professional film photographers around the globe through our bi-weekly internet radio show, the Film Photography Podcast. On it, we share dependable product reviews, tutorials, and tips that deconstruct the complex without dumbing down the content, providing tools that expand skills while supporting your creative output, experiences and passion for film photography. Inspired by the overwhelming response to the podcast, we swiftly launched the FPP YouTube Channel, newsletter and Facebook, Flickr and Twitter accounts, so that you have the option of having videos, articles and opportunities delivered directly to your inbox and social media accounts. Two of the most exciting programs to come out of our FPP journey are our Walking Workshops and School Camera Donation Program. The former is an opportunity to exchange ideas, participate in instructional programs, and shoot film face-to-face with other members of the FPP community. The latter is a program that delivers functional, refurbished cameras and film directly into the hands of students and aspiring photographers. You can find more about both programs below and in the content section of our website. The FPP culture is one of thrift and refurbishment, with a strong do-it-yourself attitude. This philosophy extends to our on-line store, where you can find reliable brands at affordable prices as well as specialty items like hand-rolled “small batch” films, film development starter kits, photo chemistry, refurbished & tested vintage cameras and assorted FPP branded gear. Ask us a question or just drop us a line via e-mail, we’ll be happy to hear from you! If you are interested in meeting up with film enthusiasts and receiving in-person instruction in film photography, printing and more, then check out our FPP Meet Ups and Walking Workshops – just click the hyperlinks to read more about our past events in Findlay Ohio, San Clemente Ca, New York, and London. Companies that have donated their time, facilities and / or products to our past events include Kodak, Lomography, the Impossible Project and The Darkroom. Interested in placing cameras, film and gear into the hands of students and novice film enthusiasts? Then check out our Camera Donation Program, where through the generosity of our community FPP has provided students and aspiring photographers around the globe including Scio School, Bluffton University, Pickerington High School and Wanteete with tested cameras and film. Find out how to donate your gear on our Donation Page. Meet the inspiring Film Photography Podcast Host and Co-Hosts who volunteer their time and energy to sharing the joys of film photography! Photographer, producer and filmmaker Michael Raso has been working professionally in the visual arts for over 25 years. After studying cinematography under Czech cinematographer Bedrich Batka and cutting his teeth at Comcast specializing in commercial production, Michael began shooting indie feature films. He began his film career producing and shooting low budget independent films including the 1989 shot-on-super 8 horror anthology The Basement and the 16mm feature Ghoul School. Michael continues his pursuits in film with Film Media, his motion picture film restoration, and preservation company in Fair Lawn, NJ. In 2009, Michael’s enthusiasm for traditional film photography inspired him to found the Film Photography Project and its fortnightly internet radio show, the Film Photography Podcast (FPP). Today, the FPP and its instructional videos, exclusive products and Walking Workshops have converted photographers around the globe to the joys of film photography. And most rewardingly, the FPP’s popular Camera Donation Program continues to place analog cameras, film and lenses into the hands of kids and instructors world-wide. FPP Co-Host Mat Marrash was happily studying Biology and Chemistry when the desire to document a spur-of-the-moment trip to Japan resulted in 30,000+ digital images and a life-long addiction to photography. Student photography gigs with local publications lead to professional work in weddings, studios and commercial work, leaving a passionate but overwhelmed Mat with zero hard drive space and badly in need of some ergonomic seating. Burn-out was looming when Mat stumbled across a podcast hosted by some crazy guys in New Jersey who weren’t trying to sell him anything but the joy of analog photography. Before long, Mat owned a Hasselblad 500c, was developing his work and discovered the joys of large format film photography. 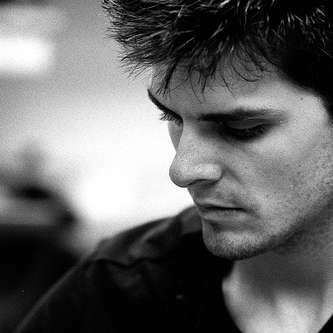 Now a co-host of that same podcast, Mat is currently employed by the MPEX – Mid-West Photo Exchange. Leslie Lazenby fell in love with photography when she was given her first camera, a GAF 126, at the age of 10. Her first job in a camera shop with a custom and commercial photo lab turned into a 20-year adventure in film; leading to positions in darkrooms, customer relations, and as head of purchasing. For the past 15 years, Leslie has owned her own business, Imagine That, retailing traditional photography products, photographic restoration, custom printing and video conversions. She finds her Zen next door at her studio, the Mecca, where she plays with her film cameras, processes film and holds small classes focusing on teens and young adults. 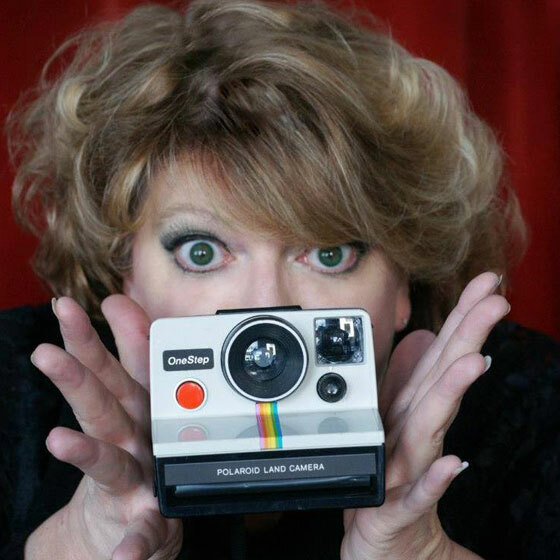 Though well versed in nearly all film brands, Leslie’s greatest knowledge base is with Kodak, although her experience as a freelance artist for Polaroid demonstrating image manipulation and teaching emulsion transfers means Polaroid is equally near and dear to her heart. Currently, she is getting a lot of joy out of exploring the Svema film family of products. Introducing people to the wonders of film photography is Leslie’s greatest joy, which she shares with her fellow members of the Film Photography Project in her capacities as Podcast Co-Host, Co-coordinator of Walking Workshops and liaison for the Camera Donation Program. Leslie at The Flickr. FPP regular Guest Mark Dalzell is affectionately referred to Professor Mark due to consistent assembly/re-assembly/tinkering with vintage cameras! Mark rediscovered film in 2011 and has been shooting non-stop ever since! When not shooting film photography, Mark is the proprietor of Metropolis Music in Jersey City, NJ and is a full-time member of the New Jersey experimental rock band The Smoove Sailors. Check out The Smoove at thesmoovesailors.com. FPP regular guest Dane Johnson loves vintage cameras and has been shooting consistently on film since he bought his Canon AE-1 in 2011. When not shooting film photography, Dane is a full-time member of the New Jersey experimental rock band The Smoove Sailors. Smoove it out at thesmoovesailors.com. A life-long film photographer and lives in Ann Arbor, MI. While his favorite camera system is Nikon, he’s tried many other brands and has a working knowledge of most systems. 35mm is his preferred format, and he finds joy in photographing nature, architecture, found objects, and street scenes. He enjoys being a mentor, and is the manager of the Ann Arbor Area Crappy Camera Club (a2crappycameras.org). 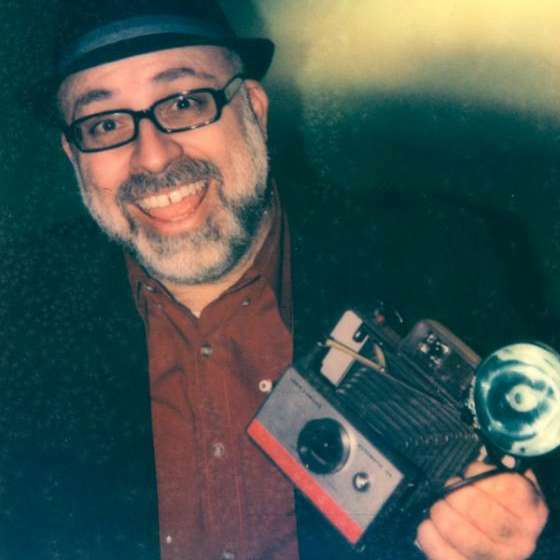 Little did Renaissance man and FPP co-host John Fedele know that when he met Michael Raso in a darkroom on the William Paterson University campus in the ’80s, it would lead to over 20 years of collaboration in the visual arts and a co-hosting gig on the Film Photography Podcast. When not playing in the bands The Pink Delicates or The Smoove Sailers, John operates cameras for popular programs on the Food Network, ABC-TV NY, ESPN and the Discovery Channel. Just like in the ’80’s, John shoots with his beloved Minolta X-700 35mm SLR camera. UK resident Darren Riley bought his first film camera in May 2010. Previously, he only ever shot holiday snaps on a cheap digital camera. His discovery of film awakened a real love for photography. He uses many different cameras but his favorite’s are the Holga 120GN and the Lomography Sprocket Rocket.